benchdonkees: Lent young Jonathan a bench and a hand yesterday to fit the tail tidy and Yoshi slip on to his new SV650. A vast improvement over the original. 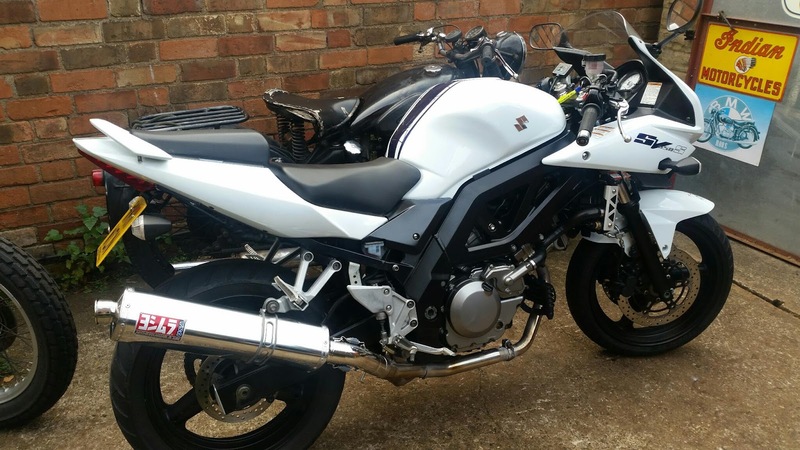 Lent young Jonathan a bench and a hand yesterday to fit the tail tidy and Yoshi slip on to his new SV650. A vast improvement over the original.